Kelsey Grammer has gone back and forth on doing a reboot of Frasier since the show’s end in 2004. Lately, he sounds committed to making one happen. While he claims no definitive plans have been laid out about what the premise would be, the star did confirm that he’d want the original cast to be included. Specifically, Kelsey Grammer was referring to co-stars David Hyde Pierce, Jane Leeves, and Peri Gilpin, who joined him in a panel at the USC Comedy Festival Vol. 4. Grammer’s comments (via Deadline) seem to mean if a Frasier reboot/revival does happen, one can expect it’s a premise that allows for Niles, Daphne, and Roz to be along for the ride as well. John Mahoney, of course, wouldn’t be able to return as Martin due to his passing in early 2018. Kelsey Grammer’s update comes months after news that the actor was shopping around a Frasier reboot over the summer. The concept was reportedly rooted in Dr. Frasier Crane setting up in a new city, possibly away from family and friends. The concept sounded familiar to many television fans, who first remembered Frasier as a Boston resident on Cheers before moving to Seattle for his title series. The news that Kelsey Grammer won’t be doing a Frasier reboot without his co-stars (or “Solo“) doesn’t necessarily contradict the news — as Frasier living in another city doesn’t mean he’d lose contact with his friends and family. Daphne and Niles could always drop by for an episode on vacation with their child, and Frasier would always find time for his long-time co-worker and friend Roz. There’s even a chance that everyone moved with Frasier in this pitched premise. Who knows? That said, Kelsey Grammer’s statement that nothing is planned or set in stone could mean the previously learned information on the reboot is no longer valid. Depending on the willingness of the cast to participate, interested parties may want to work with a premise that puts the original stars more into the mix, as opposed to the occasional guest star appearance. That could lead to Dr. Frasier Crane returning to Seattle, perhaps for the first time since the finale of Frasier. 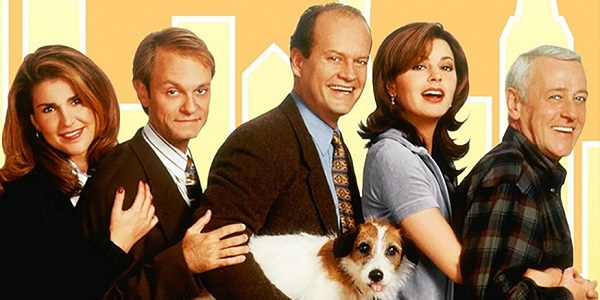 Frasier moved to Chicago in an attempt to reconcile with his girlfriend, while Niles and Daphne remained in Seattle with their new son, and Roz became station manager of KACL. Of course, a lot could’ve changed in the show’s fictional world since then, as it’s been over a decade since we’ve seen what’s happening in the lives of these characters. Frasier fanatics can speculate while binging the classic series on Netflix and Hulu. For a look at what’s happening on cable television these days, head on over to our fall premiere guide.